This field activity log will help you keep track of activities on your land, including planting, spraying, and harvesting. These records will be valuable for any yearly analysis you do. 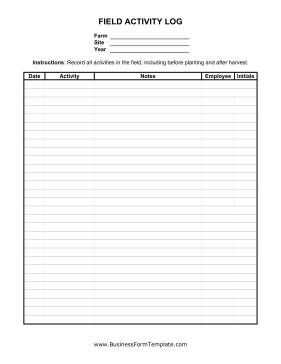 Instructions: Record all activities in the field, including before planting and after harvest.